Even if you’re only an amateur designer there are lots of cool iPad apps you would love to play around with. They come in all sorts of shapes and sizes so you’re bound to find some that are perfect for you. The app store is scary if you don’t know what you’re looking for, so let’s look at some funky ones you should play around with first. Every designer needs a great app in their collection that can create lots of beautiful effects. When you take lots of photos you want a way to improve them straight away and you’ll be able to because this app is very fast. The only thing that will slow you down is deciding which textures you will use because there are so many of them. All the textures come in various packs so you can apply many of them at the same time instead of doing each one on their own. This is a great paint app designed with artists in mind and it blows a lot of its competition out of the water. Unlike many apps you have a lot of tools laid out in front of you which means you don’t need to click the pad too many times when you’re working on a design. Instead of using traditional layers on this app you build up layers of color and flatten them to the background. I know this isn’t going to help some people, but at least traditional artists will benefit from it. I don’t think you’ll want to use this app on your own, but if you have any children and you want them to become a great animator it’s perfect for you. There is nothing complicated about the app because you’re only dealing with geometric shapes. They can be turned, moved, and the color can be altered at any time. The animation part is easy because you just take a photo of the shape then you change it slightly and take another photo. Your child needs to keep doing this until their video is ready. Most brilliant designers will never be able to come up with tons of ideas on their own. You might have a special few who can design something that has never been done before, but everyone else needs to get their inspiration from somewhere. When you find things that inspire you it’s important you save everything in a safe place. Hop.in will let you save things you see online when you’re surfing the internet on your iPad and hopefully your work will improve. Do you ever notice how everyone loves everything retro even though they would happily have threw it in the trash can once it went out of fashion all those years ago? If you want a little more retro in your life you should definitely try to get your hands on the Retromatic HD app. First you will need to upload some of your favorite photos and after a little twiddling they will look like something out of the 60s. This one is a little different because it lets you create abstract images on your iPad. Abstract art has become very popular over the years and now you will be able to create it a little easier. Once you’ve come up with a lovely design you can then incorporate it into something else you’re working on. They make nice backgrounds as anything will look better lying on top of a piece of abstract art. Don’t worry about getting stuck because they have a great tutorial you can use. Now that you have an iPad it means you don’t have to sit around being bored all the time. You can just bend over and pick up your computer and you’re ready to go. It definitely helps if you have the right apps and you should love a few we’ve spoken about today. Nancy Baker, the author of this article, is a freelance blogger, currently writing for, Elements, leaders in architectural house plans and designs. She loves theater and is into caricaturing and wood carving. You can reach Nancy via Twitter @Nancy_Baker. Since the release of the VMware virtualization platform there has been a love/hate relationship between them and Oracle. The enmity, however, was mostly one-sided. Oracle wanted to create its own virtualization platform, Oracle VM, and only grudgingly provided support for its products that ran on the VMware platform. Some of the ruffled feathers have been smoothed over the years, but they still make competing virtualization products. So which should you choose when virtualizing your business databases and applications? Our advice is to go with the combination that provides the best value and best performance. And that is Oracle on VMware. Oracle provides great database solutions. VMware provides the best virtualization platform in the business. The obvious choice is Oracle on VMware. While it may seem reasonable to utilize Oracle virtualization platform to keep both your database and virtualization solutions under one roof, Oracle on VMware provides several benefits that Oracle VM simply can’t match. What you may save on interoperability and licensing fees may be lost in performance costs. I/O throughput is one of the most critical elements of database performance, especially in a virtualized environment. VMware ESX hyper visor is capable of processing more than 60,000 I/Os per second. That is the equivalent throughput of over 600 disks. A key requirement for any database environment is scalability. In fact, it is one of the major reasons why IT groups choose virtualization. Virtual machines can be scaled more quickly and cost effectively than physical ones. Oracle on VMware can scale through multiple virtual machines and by scaling each virtual machine to use more than one physical processor. Both are advantageous in managing both increased total users and increased concurrent users. Oracle databases consumes a lot of memory for caching pre-compiled SQL queries in disk memory. Caching disk I/Os to memory can save significant transaction time with each one only requiring a few milliseconds to complete. Oracle on VMware is capable of supporting up to 64GB of RAM per guest user. This means a lot of room for caching Oracle SQL queries in disk memory and greatly improving system performance. With its ability for IT organizations to leverage their existing storage, network, and computing resources to control costs, a virtualized database environment means a lower TCO than physical environments. VMware invests a great deal of their time and effort in ensuring the performance of Oracle VMware further reducing TCO for virtualized Oracle environments. Oracle on VMware is built on the VMware High Availability architecture to ensure the greatest amount of uptime for mission critical business operations. Symantec ApplicationHA and Oracle RAC are also available so that users can choose the high availability solution that is best for their environment. This is a guest post by Josh Stein on behalf of Confio Software. Confio™ Software monitors the interoperation of technology for Oracle on VMware, improving performance and reliability for databases running on virtual servers. If you are looking for talented software developers in Chicago, it can be really difficult to find good developers. However, there are several freelance developers who can be employed for startups. Chicago is one of the biggest cities in the US, but as far as software engineers are concerned, it is a much smaller place. Many companies want to build their product from the inside and wish to hire talented professionals. You might take a longer time to hire developers in Chicago, than in, say, Silicon Valley. Location is very important in this case. Before selecting a developer, you must know what you want to build and keep your minimum viable product prepared. You must also know a little bit about programming while recruiting one. One good means of finding good developers is to hang out in areas where you are likely to find them. Location matters, and there is a shortage of software developers in Chicago. There is also a growing use of Ruby on Rails among many technological firms in Chicago and companies require professionals who are trained in Java or in PHP. The demand for software engineers who have learned modern web application frameworks, such as Ruby on Rails, is increasing by the day and there are plenty of jobs available. Knowing this software is also not a must, as a good engineer can easily learn the language. There is a growing demand for young, smart engineers who are willing to learn and are passionate about software development. Skilled software engineers as well as web developers are very much in demand, as the supply is short in Chicago area. Finding good quality employees is the major concern of technological companies based in the Chicago area. Developer shortages in Chicago and elsewhere have increased due to the increasing use of Ruby on Rails framework. The technological industry in Chicago is continually growing and the number of available jobs is also on the increase. There is also a short supply of application integration professionals with the ability of working on different kinds of platforms and software. There is specifically a shortfall of specialists related to SaaS (software as a service), security as well as cloud specialists as well as help desk technicians and managers for software projects. Many companies shave reported the difficulty of finding quality workers who can assure that the software works in accordance with the plans. The demand for usability experts is also on the increase; especially in case of those who are able to understand design as well as development. You need to cast your net for software professionals a little wider. Companies in Chicago have options of recruiting out of the state acheter viagra 30 pilules. However, professionals from other states find it difficult to relocate, as the housing market makes it difficult for them to sell their homes and shift to another state. The important aspect here is that companies must not leave such professionals once they hire them. While looking for good software developers, you need to recruit people who breathe technology. A good programmer is one who is persistent and can solve problems patiently. Companies must recruit professionals who love technology. Can you believe some people still use their iPad to browse the internet and play silly games? 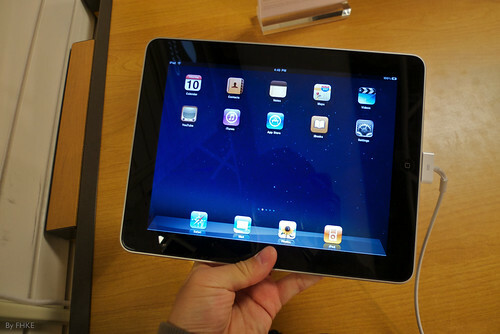 Nobody is wrong for doing those things, but an iPad is much more powerful and you need to start taking advantage of it. If you’re an engineer your job will be complicated, but there are some apps being released that aim to make everything a little easier on you. Here is a little selection of them so you’ll know what to expect. Engineers will need to convert units on a daily basis and you don’t want to rely on apps that are not specifically designed for you. EUC is packed full of everything you will need to do your job quickly and correctly. You also have the option of entering any negative inputs, and you can use shortcuts which means you don’t have to hit the zero button hundreds of times per day. All in all there are over 70 unique categories and they contain over 700 units. You probably use computer-aided design software all the time when you’re sitting at your desk working on technical drawings. Now you will be able to do lots of work on-site once you whip your iPad out. You can use it to draw beautiful houses, geometric figures, mechanical components, and anything else you normally do on your main computer. You will also be able to use your finger which is an amazing way to design things after you get used to it. When you’re hard at work crunching large numbers you will need a calculator and the TouchCalc app is one of the best on the market. It’s got 3 different modes you can swap around depending on what you’re trying to work out. It obviously has a scientific mode that allows you to do arithmetic calculations. It’s also got a bit/integer mode and a statistics mode. To make things even easier the buttons are different colors so you don’t hit the wrong ones. You won’t be able to do anything without a great reference guide and luckily you now have everything you’ll need on your iPad if you’re a mechanical engineer. The Mech Ref app contains things like drill sizes with decimal equivalents, fastener clearance holes, a sheet metal gauge table, and tap sizes. There are also math and physics references in case you need to check those out too, so the app will stop you from spending too long looking through different books. Do you remember playing around with circuit boards in science class? The iCircuit app is an extreme version of this and it will suit anyone who has to test out advanced circuits on a daily basis. It’s a little like you would see inside a CAD program except this app is different because it’s always simulating like a real circuit would. There are also a huge amount of elements to use in your circuits which means you’ll be able to do anything. Jenny Wadlow, the author of this article, is a freelance blogger, currently writing for, Roll a Pipe, leading suppliers of abrasion resistant pipes. She takes keen interest in the industrial filed and enjoys blogging of the immense career opportunities available. You can reach Jenny via Twitter @JennyWadlow. Staying on top of your entire to-do list while on the go can be very stressful. This is especially true when you try to juggle work, household chores, and family responsibilities. Thankfully, there are now high-end gadgets and smartphone apps that can help you stay on-the-go while accomplishing all your tasks along the way. When disorganization threatens to engulf your life, know that you can do something about it. If you are ready to take on the madness and make small changes in your routine to better accomplish your tasks, you will need some help. This article lists a few gadgets and applications that can help you organize everything from your home to your to-do list. If you have a hard time keeping your home clean, you will need help. Remember that keeping your home clean, sanitary, and dust-free is very important because you need to live in a healthy home environment. The iRobot Roomba 790 can help you keep your home clean. It is an automatic vacuum with a wireless command center. You can control this robotic vacuum using a remote, and you can even set a cleaning schedule everyday so that it will automatically clean your house even when you are not at home. You can easily control this gadget from 25 meters away. iRobot Roomba 790 can definitely make home cleaning a breeze. Aside from using this gadget, you can also keep your home clutter-free by getting rid of all non-essential items. If you have things you haven’t used for a year, you can consider giving them to charity or you can sell them in a garage sale. Another option is to place them in storage. There are secured and trustworthy self storage facilities that can keep your valuables and belongings safe. The facilities also have state-of-the-art security features so you won’t have to worry about your personal items. If you keep wasting your time looking for your keys every time you go out, you need an effective key holder at home. You can get back your precious time by installing Key Board by Blomus. This is a wall-mounted, hip, and modern stainless steel key holder. You can install this gadget near the door where you can easily stick your keys in it. This gadget uses rubberized foam to keep your keys in place. All you have to do is slide the key into the slot. This gadget is not only innovative, but is also a very creative key holder that can enhance the aesthetic appeal of your home. If you keep seeing phones, tablets, and PDAs being charged in your kitchen countertop or desk, resulting to clutter, you need to install a wall-mounted charging station. This is a very sleek and useful device that can accommodate up to three phones, tablets, cameras, or other portable device. You can plug the devices into a 10-inch power strip- which is purchased separately. You can install the charging station in your empty-looking wall space. This can keep dangling cords out of sight, resulting to a clutter-free home. This mobile application is owned by Hearst. Manilla collects all the necessary information to manage your bills and accounts. This application puts it in one secure place which you can access 24/7. It does not only manage your bills, but it also manages your travel rewards and your subscriptions. Some of its features include automatic reminders. This alerts you when it is time to pay the bills, or when your rewards points are about to lose its validity. With this mobile phone application, you will never pay your bills late again. You can also ask your child to help with the household chores, but you will need to find clever ways to motivate him. This is made possible by iRewardChart which is a mobile application that is a very effective reward system for children. This app can motivate your child in doing the household chores by giving him rewards for a job well done, such as one hour of television, or an additional $5 for their allowance. Every time a task is checked off, you can track your child’s progress and determine whether he needs to be rewarded for good behavior. The author, Kris Hopkins, writes about the latest gadgets and mobile apps. In this article, she lists a few high-end organizational gadgets and apps that can make life easier. But despite the availability of innovative technologies, she still suggests traditional organization methods and storage facilities like US Storage Centers for de-cluttering, organization, and storage. The pressures of this modern world often cause us to take a step back and wonder if it is all worth it. On occasions we fall into a black mood that can result in depression and anxiety attacks. These conditions are treatable but only if we seek out professional help. We need to first recognise these signs and then talk with an expert regarding how to cope with these negative feelings. Self-help is an excellent tool that allows individuals to acquire a sense of empowerment allowing us to feel more positive about life and what it throws our way. This article looks at a few Smartphone Apps that offer some of this therapy for free, please take a look if you feel that you may need a little nudge now and again. This App will run on your iPhone, iPod Touch and iPad and it requires iOS 5.0 or later for smooth running. This was developed by those clever fellows at the University of West England and on first inspections it looks a real winner. Dealing with your own anxiety attacks is a positive way to look to the future. If you can recognise the signs that lead to these negative and often destructive behaviour patterns, you can begin to cope with and treat the symptoms. This App has 25 self-help options onboard and will show you how to use mental and physical relaxation techniques for positive results. You’ll get various media formats here that really cover a lot of ground and the external links allow you to check out similar sources for a more all-round experience. We enjoyed this App and thoroughly recommend it for people who suffer from anxiety attacks. But you should also seek out some professional help if you feel that your own quality of life is suffering from this state of mind. Our second Smartphone self-help App is an Android Market affair and is also totally free. Dealing with and recognising your own panic attacks are vital steps in your own self-help, and this App is certainly a valid option for that activity. Stop Panic & Anxiety has a wealth of really useful and effective exercises that should help you to come to terms with this condition and how you should be treating these symptoms. The onboard Panic Assistance audio track is very useful for dealing with real time panic attacks. The same track can be used for dealing with Agoraphobia, should you suffer from this condition. The relaxation tracks are excellent for those downtimes that we all need every now and then. In fact the App seems to have every base covered for whatever life decides to throw your way. We do suggest that you seek out professional help if you suffer from any of these conditions. But show the App to your therapist and see what they think about using it for short term assistance. So there you have it, and hopefully either of these Apps will be there on standby if you ever feel the need for some instant help – Take Care! Jenny Wadlow, the author of this article, is a freelance blogger, currently writing for, New Age Power, leaders in self help treatments. She loves social gatherings and enjoys blogging about the various aspects of human nature. You can reach Jenny via Twitter @JennyWadlow. You are a law professional who has purchased a shiny new Android phone: congratulations! Smart phones have become an essential component in modern life, and they are particularly necessary for any well-equipped lawyer. Android phones, similar to many other phones, offer one location for finding applications called the Android marketplace. The Android marketplace offers a wide variety of apps, some quite expensive, that will accomplish almost any task that you need completed. However, before you burn a hole through your credit card filling your new device with apps, make sure that you are making use of those that are free of charge. There are several online companies that offer free services along with free apps such as Dropbox, Evernote, and HeyTell. These three apps are, for many, indispensable in day-to-day convention as a lawyer. These three apps will get you on your way to getting the best use out of your phone, while also not blowing your budget. During most-all trips out of the office or to your home, you need to review documents that are too lengthy to be printed and carried. You probably also find yourself needing to share documents or a folder of documents with a client/co-worker, yet you often realize that email is not a great solution for collaboration. The solution is here: Dropbox. Dropbox is an app and web service that allows you to share documents and folders securely between as many parties as you wish. Upon downloading the app, you will be given 2 GB of free storage. More free storage can be earned by inviting your friends to join. There are also companion apps for Mac and PC. Dropbox automatically syncs all files that have been stored via your phone, computer, or web browser. If you need to share a folder, simply make it public or share it with a certain group of individuals. 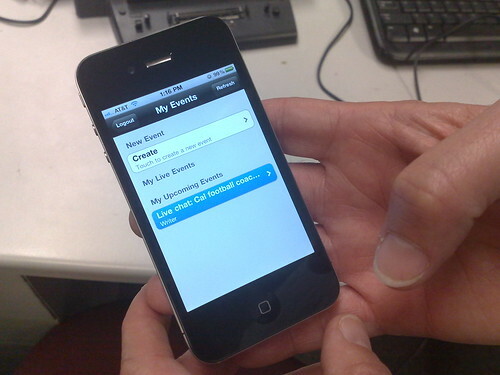 All parties can simultaneously add documents from any of their devices. This resolves having to carry around flash drives or certain devices, and it frees you up to have all of your important documents with you no matter where you are. Evernote is also an incredible app. Though it shares a similar function to Dropbox (it syncs your documents via the cloud for free), Evernote serves as a note-taking app. Upon downloading the app, you are greeted with the option to create a notebook, text document, media document, and much more. Evernote uses not only the title of your note, but it also uses tags so that certain items can be grouped together even if they do not reside in the same notebook. It has extended formatting to allow not only for the standard bold-underline-italics options but also lists, bullets, charts, attachments, and more. Overall, it is a fantastic way to stay organized through depositions and meetings with clientele. Finally, an app that is a new way of using digital phones: HeyTell. Many times we find ourselves needing to call someone but not being able to catch them at the correct time. Texting might work, but it is a message that would take much too long to type. There is finally an in between solution for you. HeyTell, briefly described, is an app that allows you to send short voice snippets to another friend for free through an app. This app is indispensable for two individuals who need to be in contact frequently yet have schedules that prevent direct, immediate communication. HeyTell is free in the Android marketplace and works with iPhones as well. Laura Anderson, the author of this post, works at Burgess Paluch Recruitment, experts in legal recruitment. She is a technophile and always makes sure that she owns the latest gadgets available. Smart phones and tablets are becoming common in every part of our lives. These devices are actually small but powerful computers. Here are four apps that harness the power of those computers for lawyers. Westlaw Next is free with a Westlaw Next subscription. With the Westlaw Next app, you can perform research anywhere on your iPad and sync it across multiple devices so that no matter where you are your research is with you. Whether you need to re-examine earlier research or start something completely new, Westlaw Next provides the tools you need to do it. You can search for a particular document or for general legal issues. WestSearch accesses West’s database of law analysis that covers 125 years of legal action. Documents can be saved offline and reviewed later. The ability to highlight and add notes keeps all of your research in one easy to access place. The ability to create folders makes keeping different searches and research separate easier. The Fastcase research app accesses the Fastcase service. The service is not free, but a number of bar associations provide free access to members. That access includes federal law and state law from all fifty states. It covers cases, legislation, court rules and all fifty state constitutions. The databases are searchable using Boolean search, natural language or legal citations. There is even an interactive timeline that shows results in an interactive graph. Fastcase claims to be the only legal research system that places the best search results on top. That means searches do not have to be so specific that relevant cases might not be in the results. The results can be sorted twelve ways including date of the decision, how often cited and relevance. The website includes short instructional videos for advanced use of the service. Depose is one of those apps you may not think you need until you use it. It is intended for depositions, but could be used for any question and answer session. Tapping on the “New Depo” button creates a new deposition. There is a list of preprogrammed questions, but you can import a text file of your own questions, too. You can change the order of the by dragging them to the order you need. There are no special steps, so you can rearrange questions during the deposition with ease. When it is time to take the deposition, tap the “Take Depo” button and a space for answers appears below the questions. LogMeIn (iPad/iPhone) and Ignition (Android) provide secure connection to and control of your computer from your mobile devices. Once you connect to your computer you can run programs, open files and do most things you can do sitting at your computer. LogMeIn is available from the Apple App Store and has a free version for up to 10 devices. LogMeIn Ignition is $29.99 on Google Play. Technology keeps advancing, making information more readily available. These apps help make sure that a lawyer has the tools to access that information when it is needed to provide the best service possible to clients. Gail Johnson, the author of this post, is an avid blogger and works for Dribbin and Brown, home to the finest criminal defense lawyers in Ringwood. In his spare time, he enjoys hitting the gym and spending time with his family. Whether you are aspiring to become an artist, singer, or writer, we have three incredible FREE apps for you. Android phones come with handy access to something called Google Play, a location for finding all of the apps that you will ever need. As an artist of any kind you will definitely need many, many apps. Quite obviously then, artists need apps in which to keep inspirational design ideas, singers need apps in which to record themselves while on the go, and writers need an app to help organize all of their writings. More important than just finding the right app is finding the right price for that app. Here are three apps that are useful, cool, and will not break an artist’s budget, all from Google Play: Skitch, Evernote, and Easy Voice Recorder. Skitch is FREE, and it is an important tool for the artist on the go. Many times you want to take a photo of something, mark what is important, and then check it again later for inspiration. This app allows you to do just that. Take a photo of a landscape, annotate what features are pleasing to you, and then later use it to inspire your creations. Any photographer should take this app on every single shoot that he or she attends. It is incredibly simple to use, has great organization, and also syncs with the cloud so that you’ll never lose your skitches. This app can also be used for a different type of artist, though. If you find yourself needing to mark edits for photos that a lower employee will later take care of, this app allows you to do just that! You can import images and PDFs and annotate directly over them using your finger as a pen. Along with the standard pen, though, you can use shapes as well. Writing on the go can be incredibly difficult without the right tools. If you lose a hard drive, laptop, or any other device containing the sole copy of a document, you could be severely out of luck. However, hope has come! Now, no matter where you go or what device you break, your writings will always be with you! Meet Evernote. Evernote is a new way to sync your writing between your computer at home, your mobile phone, and any other device with web access. Evernote is a FREE app. It can be used to store photos, videos, documents, or directly captured text. Also, don’t forget to organize your documents into notebooks for all of your life’s projects and activities. Easy Voice Recorder is a fun app for anyone really, but it is particularly handy for aspiring singer/songwriters. EVR will allow you to record your voice, store it inside and share from the app, and it will also add a recording button to your home screen! Use this app to practice up for big events, share new songs with friends and family, and keep track of your progress as a singer! You never have to be without your recordings when that big break moment occurs, so be prepared with this app. Dimitri Mascarenhas, the author of this post, works at Behind the Talent and is a regular contributor to celebrity gossip websites. He is a technophile who makes sure his device is loaded with all the latest apps available. 5 Great Apps To Keep Your Home Organized Even When You’re Very Busy. It’s hard to look after a home when you’re very busy, so I’ve talked about a few apps people can use to help them stay more organized. If you and your partner are both working it’s sometimes hard to keep on top of everything at home. When you finish work you need to cook dinner and afterwards you want to rest until it’s time to sleep. Luckily you can use some cool smartphone apps to help you keep your home organized and we’re going to look at some of them now. Most families buy hundreds of things every year, so you’d definitely be forgiven for not remembering everything you have inside your home. If you download the Home Inventory app you can change that because you’ll be able to record everything you own. It’s great for insurance purposes, plus you can keep all the warranties together to prevent you from losing anything. You can also record important part numbers in case you need to order any replacements. Sooner or later you knew a magazine this size would come out with their own app and they’ve certainly released one you won’t be disappointed about. If you want to get rid of any stains there is an A-Z guide dedicated to them. If you want to carry out any jobs you can keep checklists to make sure everything gets done. There is even a décor gallery with wonderful photos to look at in case you want some inspiration before your next DIY job. If you want to keep on top of everything at home your finances are probably more important than anything else. If you fall behind on your payments it could throw your life upside down. That is why I would definitely recommend using an app to help you deal with everything. It’s also great tracking your finances on an iPad because it means you won’t need to keep lots of paper receipts and bank statements lying around your home. The app will even send you an email whenever a bill is due. Keeping organized is sometimes one of the hardest things in the world because there is always so much to do. If you’re involved in business you’ve probably heard of the trick to do 3 important things per day to keep heading in the right direction. This app is based on that and once you’ve filled in your master to-do-list you’ll be able to choose 3 tasks per day to knock off your list. You can obviously do more, but as long as you do 3 you’ll be moving in the right direction. If you have any DIY projects coming up soon you need to make sure you do your homework because you don’t want to have any regrets. This app is one of the best tools you can use and it’s even touted as the largest design database for residential properties in the world. There are millions if images uploaded by many different design professionals and they’re all sorted into individual rooms. This obviously makes it much easier to find what you’re looking for. Henry Fredricks, the author of this article, works as a designer for the new project, Elevation, undertaken by Third Street, renowned builders in Australia. He loves listening to jazz and blues music and is also pretty good with the guitar.